Attorneys for a Los Angeles man who’s suing the city over a violent October 2014 beating caught on camera now claim the city’s police department has been retaliating against their client in the months since the suit was filed. On Tuesday, lawyer Caree Harper said she’ll be amending a civil rights lawsuit filed against the Los Angeles Police Department last November on behalf of 22-year-old Clinton Alford Jr. because the LAPD has allegedly been harassing, heckling and intimidating her client while the legal matter is in limbo. "They want to catch him doing anything," Harper told the LA Times on Tuesday. "Even if he's not doing anything." Alford was riding his bicycle home last fall when he was stopped by a plain-clothed police officer and then, according to the original lawsuit filed a month later, was beaten, kicked and tased at gunpoint by a group of cops. A nearby surveillance camera captured the assault on camera, but the LAPD has fought against releasing the footage. Nevertheless, law enforcement officials who have seen the film have told the LA Times previously that Alford never appeared to be resisting and that the contents of the tape were “horrific.” LAPD Chief Charlie Beck said in a statement that he was "extremely concerned about this particular use of force." Authorities later dropped charges for drugs and resisting arrest they had filed against Alford, but his attorneys alleged in the November lawsuit that law enforcement’s actions amounted to gross violations of their client’s constitutional rights. According to Harper, a new filing will soon be entered in court concerning claims of retaliation. She told the Times that LAPD officers drove past Alford’s home recently and “heckled” her client and his family, and said that a law enforcement helicopter has been hovering above the residence “so close overhead that walls and windows shook,” the paper reported. “I just want to live a normal life as a regular human being without having police and helicopters over my house every minute,” Alford pleaded during Tuesday’s press conference. “Mr. Alford could very well have a toe tag right now based on how these officers act,” Harper said. 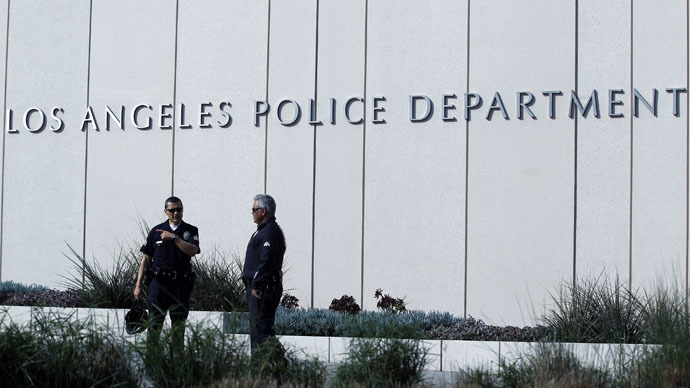 Commander Andrew Smith, an LAPD spokesman, told the Times that the department cannot comment on the matter since an investigation concerning the October 16 incident remains ongoing. "If they have any other allegations of misconduct, we're eager to hear them and have Internal Affairs investigate them fully,” he said. As of Wednesday, the docket for Beck’s civil rights suit filed in the Central District of California had yet to be updated with the amended complaint.